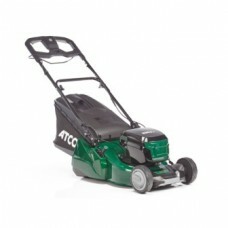 The Liner 18S Li features a large width rear roller that not only provides those classic stripes but makes cutting right up to the lawn edges possible without scalping. Cutting height is easy to adjust within the 20-70mm range using a single leaver with 5 preset positions and cuttings are collected in the 55 litre grass bag which also features an indicator to show when the bag is full. The battery and charger are included.